Experience a modern version of Scottish luxury in the heart of the city at the Sheraton Grand Hotel & Spa. 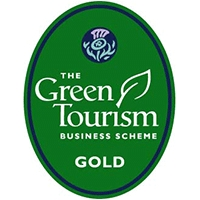 Together with its award-winning One Spa and the Scottish brasserie One Square, this urban resort is the perfect base for exploring Edinburgh. Bright and spacious, all guestrooms feature our dreamily comfortable Sheraton Signature Sleep Experience™ beds, mood lighting, opaque glass-walled bathrooms and media hubs, with many also enjoying inspirational views of Edinburgh Castle. Guests on our Club Level have exclusive access to the Club Lounge, benefitting from breakfast, snacks and drinks throughout the day. Escape at One Spa, Edinburgh's Ultimate Thermal Spa Experience. Experience a modern version of Scottish luxury in the heart of the city at the Sheraton Grand Hotel & Spa. Together with its award-winning One Spa and the Scottish brasserie One Square, this urban resort is the perfect base for exploring Edinburgh. 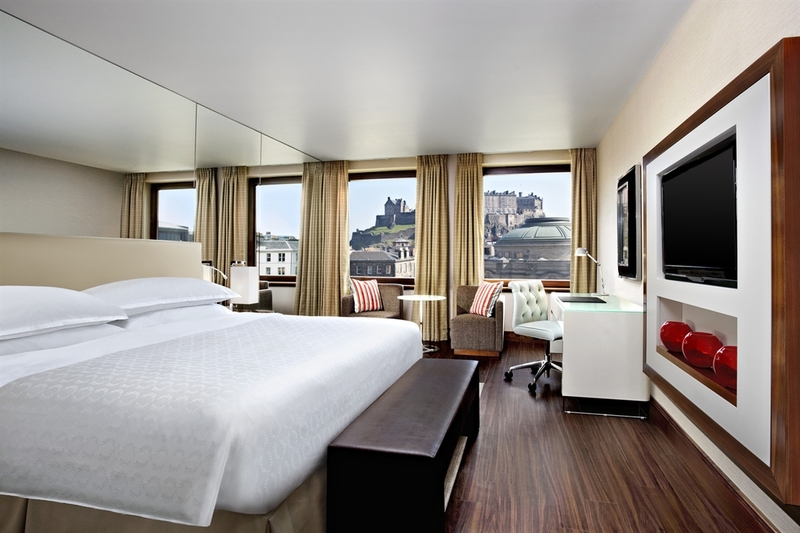 Bright and spacious, all guestrooms feature our dreamily comfortable Sheraton Signature Sleep Experience™ beds, mood lighting, opaque glass-walled bathrooms and media hubs, with many also enjoying inspirational views of Edinburgh Castle. Guests on our Club Level have exclusive access to the Club Lounge, benefitting from breakfast, snacks and drinks throughout the day. Our contemporary Scottish brasserie, One Square, serves an inventive range of Scottish favourites, as well as an ever-changing selection of signature dishes. From the well-stocked bar – where you can take your pick of more than 100 gins – to the ever-popular tables overlooking Festival Square, One Square is somewhere to spend leisurely afternoons, to meet with friends for dinner or sit out on the terrace and sip a perfectly-poured G&T. Escape at One Spa with an unrivalled collection of heat and water. Soothe aching muscles in the Thermal Suite, cleanse in the enveloping steam of the Hammam and Aroma Grotto, before immersing yourself in our iconic rooftop Hydropool. Round off the experience with a beauty treatment in our onsite salon, NOW by One Spa which offers a range of beauty treatments including HD Brows, LVL Lashes, Shellac manicures and pedicures and more. Ideal to get ready for a special occasion or night out.